Small, medium and micro enterprises (SMMEs) are the backbone of the South African economy. With an increased focus from government in driving support for emerging SMMEs, including the design of the infrastructure project rollout to favour up-and-coming contractors, there are big opportunities for emerging businesspeople to apply their entrepreneurial ability in the construction, earthmoving and related industries. 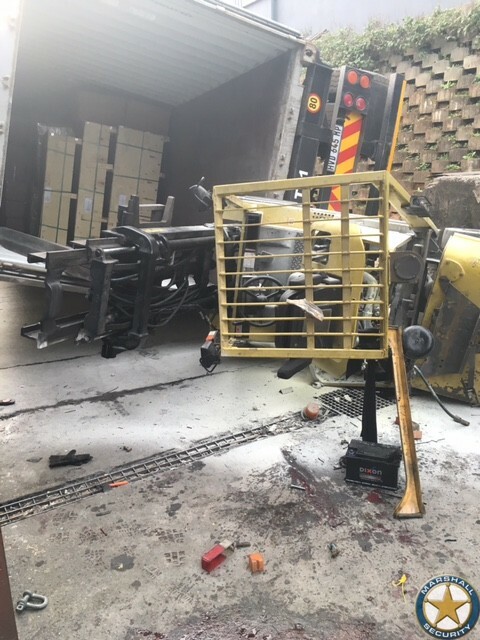 Those who do so are well advised to consider insuring valuable plant and equipment – machinery which is exposed, daily, to intrinsic risks associated with these activities. With research showing that between 70 and 80 percent of small businesses will fail within its first five years,[i] the stakes are high for any entrepreneur. There are multiple challenges faced by every fledgling business, but most can be traced to one crucial factor (though the underlying causes are generally multifaceted): cash flow. Cash-flow pressures can lead to the SMME owner looking for opportunities to cut costs. Insurance is often first in the firing line, as it is often perceived to be a ‘nice-to-have’ or a ‘luxury extra’… if indeed any suitable cover can be found in the first place. While it is true for just about any SMME, for those in construction, earthmoving and related industries, it is critical that good insurance cover is in place all the time. At the risk of stating the obvious, your company has to keep three key factors in balance: your plant and equipment (the ‘yellow metal’) is expensive; your business depends on the availability and reliability of the machinery; and all your plant and equipment operate in inherently dangerous places and unpredictable circumstances. When times are tough – now or sometime in the future – the insurance premium might feel a lot like an unnecessary expense. However, should one of your trucks or earthmovers is out of order; that could just tip your whole business over the edge. Not so if your insurance cover is both appropriate and supports your needs. What to look for in plant and equipment insurance? For any small business, a ‘risk management’ approach can be of considerable value. It is probably something you do anyway, whether consciously or not: you look out for the things that might negatively impact operations, and you take action to make sure those risks are understood and a plan is in place to deal with any problems that do eventuate. Insurance should be a key tool in risk management. Among the risks you might need to manage from a plant and equipment perspective could be one of your yellow metals bulldozing its way into a water main, one of your trucks slipping sideways into a quarry – or just the damage to an expensive tyre caused by stones in the road. Awareness of these and any one of a multitude of other business-specific risks is a very good place to start, because it drives awareness of the necessity for a plan of action. One of the challenges faced by operators like you is that finding the right cover isn’t generally easy. The solutions, which are available, are often targeted at big commercial operators, not SMMEs. The pricing and the scope just isn’t appropriate (and that is if you can even get someone to pay you a visit). The first step for the right insurance is to find the right insurer. You need a company that understands your business, the risks you face and the equipment with which you work. From that will follow an insurance solution, which meets your needs – and budget. If you have a business with between 5 and 20 vehicles or pieces of equipment, look for an insurer with a specific focus on small and upcoming companies – with a developed range of products that can be tailored to suit individual customers and your unique set of risks. Your insurer should cover everything from cars and bakkies, to medium-sized trucks, and also heavy-duty trucks and yellow metal equipment.